A MORNING AT GOSSINGTON. GLOUS. 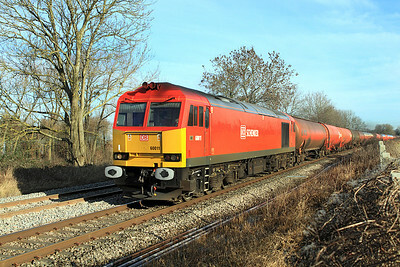 Freshley repainted 60011 heads the 6B13 05.05 Robeston to Westerleigh Murco Terminal loaded tanks at Gossington. 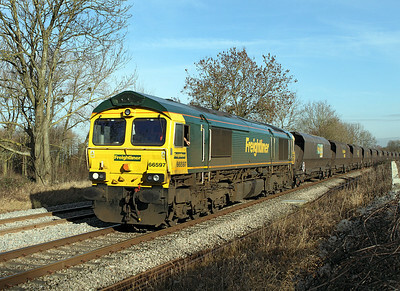 66207 heads the 6V99 11.40 Worcester to St Blazey empty china clay wagons at Gossington. 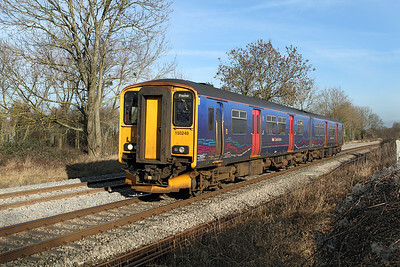 This service normally runs overnight but was running in a daylight path due to an overnight possession. 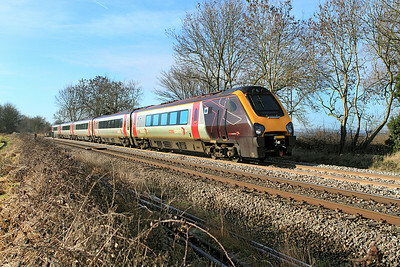 221117 forming the 09.25 Plymouth to Aberdeen service heads north at Gossington. 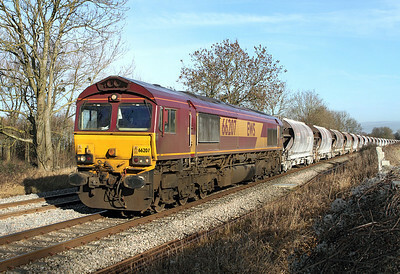 66597 passes Gossington with 4V06 08.53 Rugeley Power Station to Stoke Gifford Yard empty hoppers. 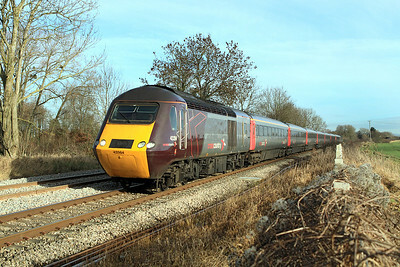 150249 passes Gossington forming the 12.42 Gloucester to Frome. 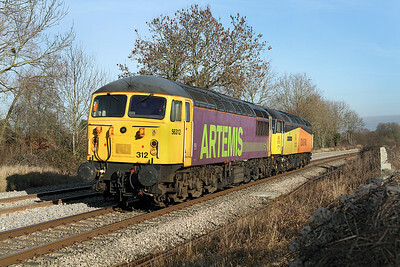 56312 & 47739 pass Gossington running light engines as the 0Z76 12.00 Washwood Heath to Tavistock Yard, in preperation for a Stoneblower move the following day. 43384 & 43357 have charge of the 06.08 Edinburgh to Plymouth Cross Country service. 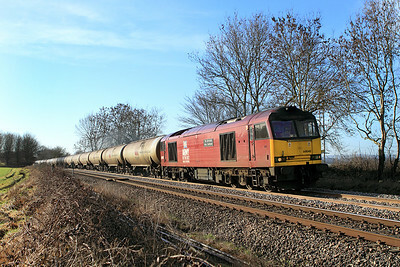 60040 heads the 6E41 11.41 Westerleigh Murco Terminal to Lindsey empty tanks past the Gossington foot crossing. 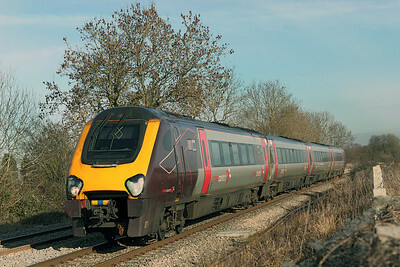 220007 forms the 06.01 Glasgow to Plymouth Cross Country Voyager service passing Gossington.